Outside of all of the major lifts, overhead pressing typically takes a back seat to movements like the squat, deadlift, and bench press. To me, this is a shame because as a strength athlete, pressing heavy weight over your head is one of the best indicators of relative and maximal strength. Unfortunately the overhead press is almost always an athletes weakest lift. The overhead press may be the most difficult of the four major lifts to increase in terms of adding significant weight to the bar (in comparison to squats for example), so don’t get discouraged if you aren’t making big jumps. Adding 20 pounds to your overhead press can be a significant increase. Check out these 4 strategies to boost your performance. Full Body Tension: This is one of the biggest technical errors I see on the lift. Lifters tend to naturally have a lot of upper body tension when overhead pressing, but not enough tension in their lower body. When pressing, you need to focus on contracting your quads, glutes, and abs. 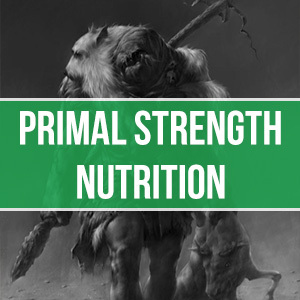 More tension = more muscle recruitment = more strength. 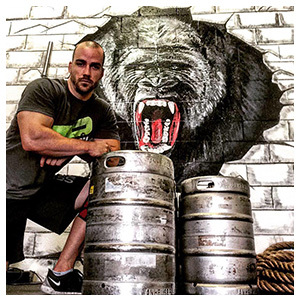 Grip Width: Start with a shoulder width grip. Your shoulders will thank you. Plus, having a grip similar to what you use on bench press will translate to the overhead press and make you more efficient. Try Using a False Grip: This may not work for everyone, but it’s worth trying to see if it helps you. A false grip is essentially not having your thumb wrapped around the bar. The theory is that this will allow the bar to stay close to your body and save wear and tear on your shoulders and wrists. I am personally not comfortable with a false grip on anything but pull-ups, but many reputable trainers recommend it for the overhead press. It comes down to your comfort level. Take note of his use of the false grip. Engage Your Biceps: On the eccentric portion of the lift (lowering the bar), focus on activating your biceps to take the stress off of your shoulders and triceps and distribute the load more evenly across your upper body. To do this, think about doing a hammer curl towards your face and ears. Might seem a bit strange, but take the time to master this skill and your overhead press will probably increase immediately. Head Through: Getting your “head through” the bar will allow you to press heavier weight and nail the lockout. As the bar passes above your head, focus on pushing your head through the “window” created by your arms. Sometimes to improve a lift, you need to include some variation. For the overhead press, instead of always using a standard bar, incorporate some different tools into your training. 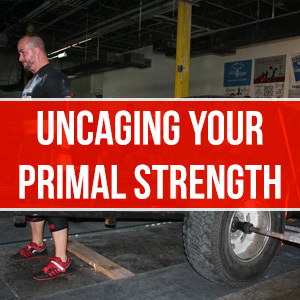 At Primal Strength Gym, we use things like fat bars, kegs, logs, and sandbags. If you don’t have access to those, you can switch to dumbbell pressing once a week instead of the bar. Dumbbells will activate more stabilizer muscles and allow you to even use one-arm variations. A big overhead press requires strong shoulders and upper chest. My main assistance lift for training the overhead press is mid-high volume incline pressing with varying tempos. The intention here is to build mass on your frame, hence working with reps in the 6-12 range with moderate intensities. For tempo, I like using incline bench presses with a 1-2 second pause on the bottom part of the lift, then exploding the bar off my chest. 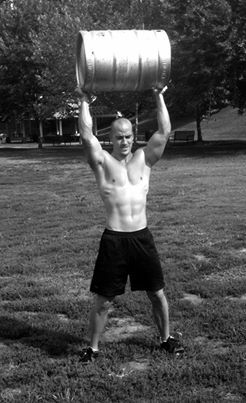 This will develop the explosiveness you need to overhead press big weight. Make sure you use the same grip width on the incline bench as you do for you overhead press to make sure it carries over into all of your pressing. Other than incline bench press, you need to develop your shoulders, traps, and triceps to assist you in the press. 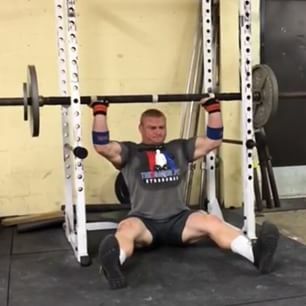 Z Presses: This movement involves sitting on the ground in a squat rack and pressing the bar from the safety pins. It takes your lower body out of the movement entirely, and forces you to press the weight with high core tension and maximal shoulder and tricep recruitment. Swiss Bar Floor Presses: Using this specialty bar with your floor press, you put the focus on your triceps to build pressing power. Close grip bench can be used as well if you don’t have a swiss bar. Face Pulls: A lot of people focus so much on their front delts that they forget about their rear delts. High rep sets work well for me here, so think of working with sets of 8-20. 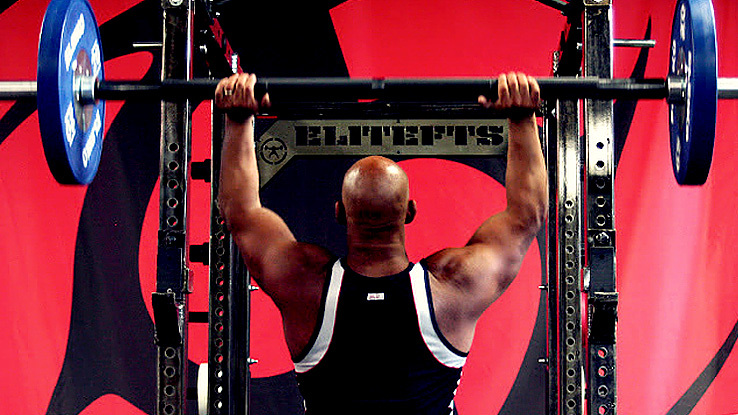 Plate Raises: Strictly to develop your shoulders, this is meant to be a high-rep movement with 25 or 45 pound plates. Lateral Raises: Another shoulder builder, this dumbbell movement should be used with light to moderate weight and high-reps.
Upright Rows: This is my favorite trap builder (other than deads and farmers carries) because it uses a higher range of motion than shrugs and engages your biceps and shoulders as well. Dips: To be strong in any pressing movement, you need to have strong triceps. Dips are one of my staples because they save wear and tear on your elbows and use your shoulders as stabilizers. If dips cause you pain, you may substitute the french press.